A Book At Lunchtime: The Scots Whay Hae! Podcast Talks To Kirstin Innes… | Scots Whay Hae! The latest podcast sees Ali in conversation with writer and journalist Kirstin Innes. The primary reason was to discuss her terrific debut novel Fishnet, but, as inevitably happens, talk turns to other matters as well, including the repercussions of the closing of The Arches, the future of the arts in Scotland, and the importance of spoken word events. 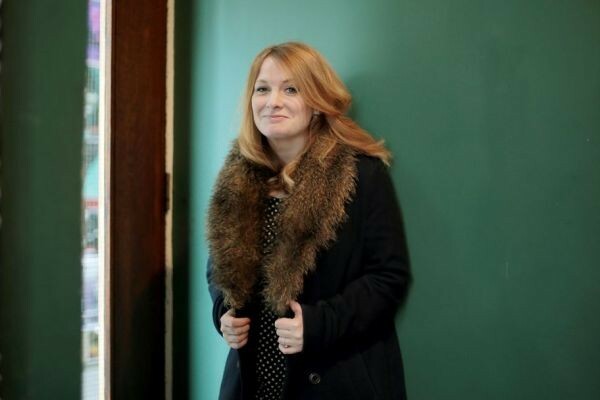 Kirstin has been one of the central figures in Scottish cultural life for some time, working at the aforementioned Arches, as a journalist at The List magazine, and helping to establish and grow many of your favourite annual events such as the Glasgow Film Festival. During this time she somehow managed find the time to write Fishnet and she explains how the book changed from something initially very (very) different, how she approached her research, and the lengthy process which led to the novel’s eventual publication earlier this year. Since then it has received wide-spread critical acclaim, recently winning the Not The Booker Prize. If you want to know more you can read the Scots Whay Hae! review here and you can hear Kirstin read from and talk about Fishnet this Thursday (19th) at Waterstones on Byres Road in Glasgow (see right), but I suggest you pour a drink, put your feet up and listen to the podcast first.